Hello from Capt. Tony Murphy with Key Limey Charters. Thank you for your interest in my Key West Fishing Report and Fishing in Key West and the lower keys! Cudas will be laid up in the current on flats trying to find an easy meal, giving angler a great opportunity to try and catch one. Best caught using something flashy and moving fast with a bait-fish profile. Above all else, Capt. Tony Murphy and his staff wish you tight lines! Get down here and book a trip with the Key Limey to catch that fish of a lifetime!!! Capt. Tony Murphy is professional and will ensure that you have a pleasant and exhilarating fishing experience. Capt Tony Murphy also owns The Saltwater Angler store in Key West that has an extensive inventory of angler clothing for men and women. Keep a memory of your trip to Key West with many fine gifts in the shop like stained glass art in the shape of fish, windchimes, gifts for children, luggage from Orvis, Simms, and Patagonia, and some fine locally made jewelry. The SaltwaterAngler prides itself on our selection of fly and light tackle rods. Furthermore, they offer a variety of high end fly rods such as Sage, G.Loomis, Winston, Shimano and Orvis. You may also note that you can compliment your fly fishing rod because Saltwater Angler has an extensive line of fly reels. To name a few, Abel, Orvis, Tibor, Ross and Shimano reels are the best in the industry and will help you reel in the “Big One”! So if there is anywhere you would be comfortable purchasing fishing equipment for any salt water fishing, the Saltwater Angler is it! Want to go fishing? Book your Key West Fishing Trip Now! Dates you want to go fishing? 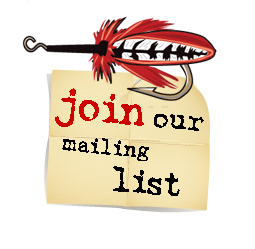 Any additional questions, comments or information about your fishing trip. Catch Dolphin Fish like these two lucky fishermen! We are almost done with February here in the Florida Keys and hopefully nothing but warmer weather from here on out. With the warmer temperatures tarpon have started making there way into the keys in small groups. Early morning is the best time to try and find these tarpon rolling at first light. Along with bonefish and permit finding their way back onto the flats. Cudas will be laid up in the current on flats trying to find an easy meal, giving angler a great opportunity to try and catch one. Best caught using something flashy and moving fast with a bait-fish profile. Some of our guides have been catching Speckled Sea Trout in the basins as the cooler water moves in using shrimp and jigs, and clouser styled flies on the bottom. Keep and eye out for Jack Crevalle pushing across the flats or hanging out with stingrays as they search for crabs and other crustaceans in the sand. Keep and eye out for Jack Crevalle pushing across the flats or hanging out with stingrays as they search for crabs and other crustaceans in the sand. Something else to mention, some of our guides have been catching Speckled Sea Trout in the basins as the cooler water moves in using shrimp and jigs, and clouser styled flies on the bottom. Above all else, Capt. Tony Murphy and his staff wish you tight lines and a great start to the new year! Get down here and book a trip with the Key Limey to catch that fish of a lifetime!!! February is here in the Florida keys along with the colder winter air and colder water temperatures. But the warmer temperatures and water temps are on the way. With the warmer temperature closing in tarpon should start making there way into the keys in small groups. Along with bonefish and permit finding there way back onto the flats. With colder temperatures some of the more toothy critters will be more dominate on the flats. Cudas have begun to lay up in the current on flats trying to find an easy meal, giving angler a great opportunity to try and catch one. Best caught using something flashy and moving fast with a bait-fish profile. Some of our guides have been catching Speckled Sea Trout in the basins as the cooler water moves in using shrimp and jigs, and clouser styled flies on the bottom. January is here in the Florida keys along with the colder winter air and colder water temperatures. With these colder temperatures some of the more toothy critters will be more dominate on the flats. Cudas have begun to lay up in the current on flats trying to find an easy meal, giving angler a great opportunity to try and catch one. Best caught using something flashy and moving fast with a bait-fish profile. Some of our guides have been catching Speckled Sea Trout in the basins as the cooler water moves in using shrimp and jigs, and clouser styled flies on the bottom. Keep and eye out for Jack Crevalle pushing across the flats or hanging out with stingrays as they search for crabs and other crustaceans in the sand. Finally, Cudas have begun to lay up in the current on flats trying to find an easy meal, giving angler a great opportunity to try and catch one. Most noteworthy, they are best caught using something flashy and moving fast with a bait-fish profile. You may want to keep and eye out for Jack Crevalle pushing across the flats or hanging out with stingrays as they search for crabs and other crustaceans in the sand. There are still a few Juvenile Tarpon hanging around the mangroves and channels. These acrobatic babies are beyond fun and ready to crush a fly. 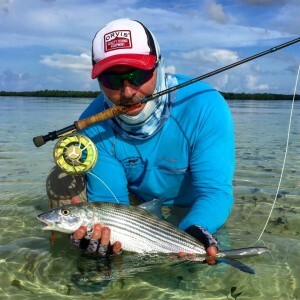 Surprisingly, we are still seeing quite a few good sized Bonefish and Permit around, however the quick-changing climate and weather this time of year will affect that on a day to day basis. And finally, here is Capt. 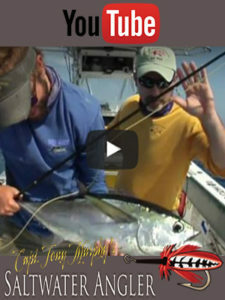 Tony Murphy's offshore fishing report for Key West. Tuna and Wahoo have shown up. With the full moon the Wahoo bite has been excellent with many boats catching multiple fish. The early morning and late afternoon bites have been the most productive with some great fish being caught. Noteworthy, the Reef bite has been fairly decent. There are plenty of Red Grouper and Mutton Snapper around. The Yellowtail snapper bite has been great as usual, and makes for great table fare. Above all else, Capt. Tony Murphy and his staff wish you tight lines and Happy New Year! Get down here and book a trip with the Key Limey to catch that fish of a lifetime!!! 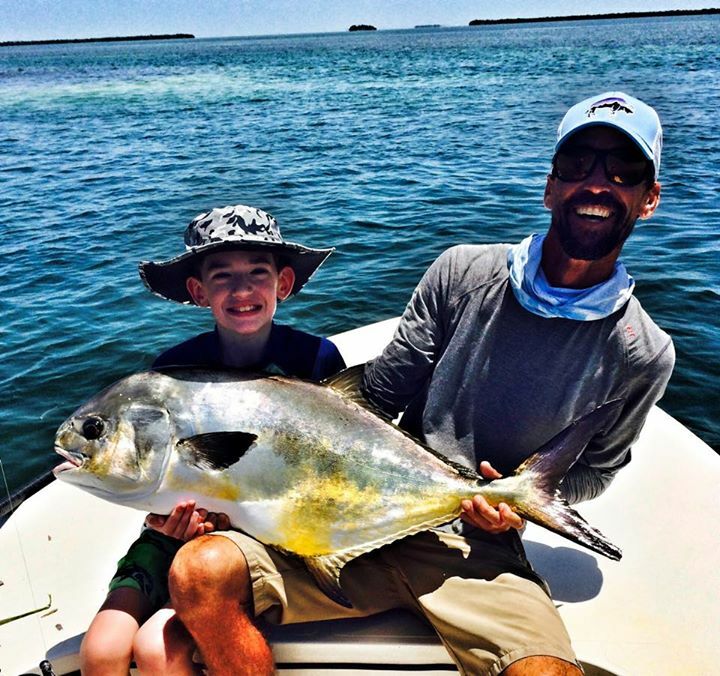 To see our archived Key West fishing reports, click here.